His activities as part of the International Hahnenkamm Race began in 1958, when the then President of the Ski Club, Kurt Beranek, appointed him to assist the legendary "boss" of Austrian sports journalists and Hahnenkamm press officer, Josef "Pepi" Strabl. The press office was located in the old building of the Chamber of Commerce in the Klostergasse. From 1960 to 1973 and from 1982 to 1974, Michael Horn himself was press officer for the world’s most important ski races. During reconstruction work to the Chamber of Commerce premises, he set up the press office in the auditorium of the secondary school and made sure that the new Chamber of Commerce building had sufficient space and, above all, telephone connections. In 1963, President Kurt Beranek also appointed him overnight as course announcer at the Hahnenkamm Races, thus establishing a great career as "The Voice of the Hahnenkamm", which he pursued on an honorary basis until 2008. Michael Horn moderated 105 Hahnenkamm races. Michael Horn was also the announcer at the Olympic Winter Games in Innsbruck in 1964 and 1976, the Alpine Ski World Championships in Schladming in 1982, the Nordic Ski World Championships in Seefeld, the Arlberg Kandahar Races in St. Anton and at numerous other World Cup events all over the world - including ten years in Aspen, Vail and Heavenly Valley in the USA and in Thredboe in Australia. He was always on hand to present events of all kinds at the K.S.C. : club championships, youth ski days, annual general meetings, award ceremonies, receptions for our successful athletes, various club anniversaries and much more. Together with skiing legend Fritz Huber, he also organized hiking trips for club members for many years. He had been a member of the K.S.C. committee since 1968, was the club's press officer, wrote countless newspaper articles, gave interviews and founded the membership promotion in 2000, which swelled club member numbers from 900 to well over 2000 in only two years. Michael Horn was vice president of K.S.C. 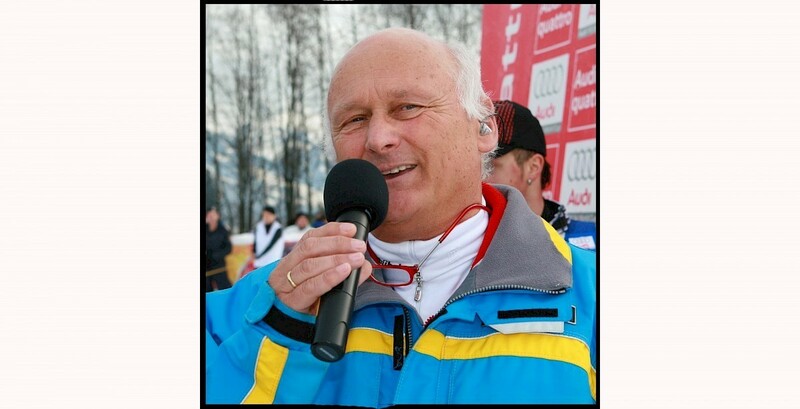 from 1991 to 2006, vice-chairman of the Organizing Committee of the International Hahnenkamm Races for many years and a member of the Olympic bid committee. He became a member of the KSC Wise Men's Council in 2006, before being appointed chairman in 2012. Michael Horn was also the initiator and co-designer of the red Hahnenkamm gondolas that bear the names of the Hahnenkamm winners. He was director of the Aquarena spa hotel for 34 years, deputy mayor from 1974 to 1987, member of the district committee of the Tyrolean Economic Association and regional chairman, he was member of the National Council and tourism spokesman of the ÖVP from 1986 to 1990 and chairman of Kitzbühel Tourism from 1998 to 2002. Together with his wife Christl he developed the popular guest magazine "Servus". Our sincere sympathy goes to his wife Christl and his children, Philipp, Vera and Vicky with their families.